NO 1 YANKEE CAR AIRFRESHNER ON EBAY 50000 SOLD !! • 6 x Assorted Boxes Yankee Candle Tealights. • Assorted Fragrances from the full Yankee Candle Range. • 12 Candles Per Box (Total 72 Candles). FREE UK POSTAGE ON 10+ ! FREE ADDITIONAL POSTAGE! White Linen & Lace. Spring Love. Simply Sweet Pea. Yankee Large Jar - Red Raspberry. The best way to release fragrance into the air. Place a Yankee Candle wax tart on top of the burner and light an unscented tea light into the base. This attractive wax burner is perfect for any decor. FREE UK POSTAGE IF 10+ BOUGHT! FREE ADDITIONAL POSTAGE! PHOTIS ARE OF JUST MIXED YANKEE CANDLE MELTS AND NOT THE MIXED TEN YOU WILL BE GIVEN . 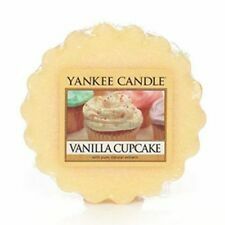 10 warped and sealed brand new yankee melts will be chosen at random and each one will be different so 10 mixed scents . 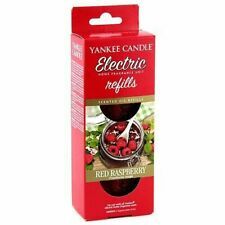 RRP per yankee melt is £ 1.79 so a great saving and we are offering free postage which will be 2 nd RM Post . We post out twice a week so please allow 4-5 for postage on mixed melts . This Riviera Escape Yankee Candle is convenient and easy to use in the sleek glass pillar style complete with lid. Yankee Candle captures the fresh scent of the Riviera by mixing notes of marine and floral, with base notes of sea grass and amber. 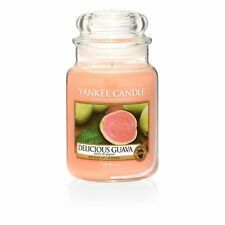 Yankee Candle air freshener to fill your car, wardrobe, locker, boat, tent and many other spaces with this great fragrance. Great instant fragrance with no wick. Simply place one or two wax tarts in a wax burner and light a Yankee unscented tea light below. Yankee Candle was created on Christmas 1969. YANKEE DIRECT. Yankee Candle. FIRESIDE TREATS Box 24 Yankee Candle Wax Melt Tarts. Retired Scent. Great price for these which are now retired. 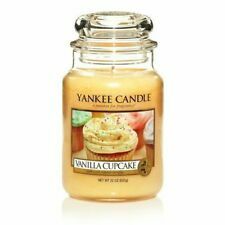 Three scents, black cherry, vanilla lime and vanilla cupcake Yankee Candle air freshener to fill your car, wardrobe, locker, boat, tent and many other spaces with this great fragrance. 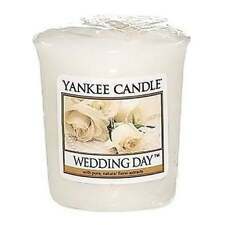 Yankee 5 Votive gift set. This giftset contains; 5 X VOTIVE CANDLES 1 x Cherry Blossom. 1 x Shea Butter. Item Number: 578438E. Perfect for fragrance layering and sampling new scents. Each provides up to 15 hours of fragrance. Votive Sampler Candle. Yankee Candle. Our Unscented Dreadful Drip™ Taper Candles are a perfect way to complete your Halloween decor. About Taper Candles. YANKEE CANDLE. OCEANSIDE. LARGE JAR.